LAOAG CITY—The bicentennial “Tienda ni Gob” trade fair attracted more than 50 micro, small and medium entrepreneurs and local government units. Organized by the Department of Tourism in partnership with the Ilocos Norte provincial government, the trade fair aims to strengthen entrepreneurship and to uplift the living conditions of the Ilocanos. The weeklong event was part of the continuing celebration of the 200th founding anniversary of the province. A motorcade kicked off the opening of the province’s biggest and grandest summer trade fair that began on May 16 and ended on May 22, 2018 at the Ilocos Norte Centennial Arena, this city. 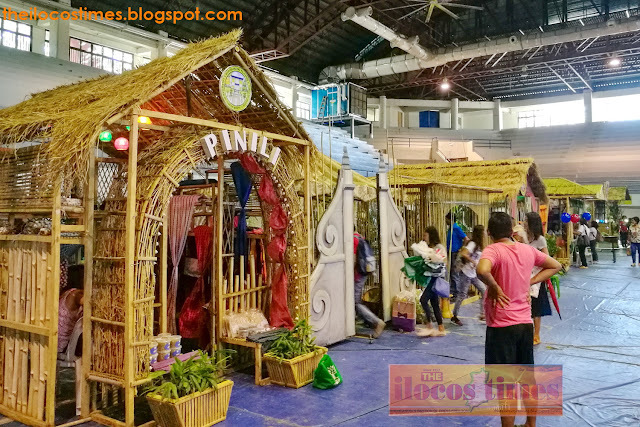 “The trade fair [showcased] the various products and services of the Ilocanos that have created an impact on the advancement of Ilocos Norte as a province,” said Maricor Racela, DTI-Ilocos Norte event coordinator. Home-grown entrepreneurs like Agnes Asuncion of Currimao, Ilocos Norte said she always look forward to the conduct of trade fairs like this not only to promote her dragon fruit wine, soap variants and essential oil products but also to share knowledge and learn from the best practices of other exhibitors. Aside from the usual processed food products such as bagnet and longganisa, abel hand-woven cloth and wood furniture, the province is known for, organized association of farmers also displayed their unique farm produce and livestock. Some micro, small and medium entrepreneurs from other provinces also participated in the trade exhibit.